Katherine Schroeder hasn’t let her heart issues stop her from doing the things she loves. Katherine Schroeder was born with a hole in her heart and an abnormal valve, known as congenital heart disease. She then developed other heart defects. She had her first surgery at 1 month old, which repaired the hole in her heart. At 2 months, she had a metal valve put into her chest. And then a pacemaker. At 4 months old, her aorta was repaired. And at 3 years old, her narrowed left ventricle, which cut the flow of blood to her heart, was mended. In 2014, she had another major heart surgery – and grew 5 inches since then. All in all, it’s been 16 procedures and counting. 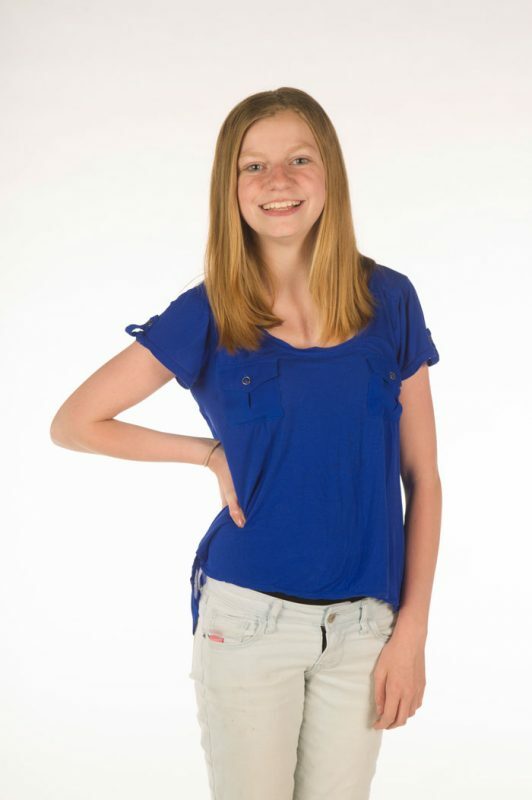 Under the care of more than a dozen Akron Children’s Hospital physicians since the day she was born, Katherine has grown into a “normal” teen. She routinely visits Akron Children’s heart center every 3 months for checkups. Although she’s on medication, tires easily and continues to face other struggles, she’s not letting congenital heart defects stop her from doing the things she loves – staying active, performing on stage, singing and learning how to drive. “Turn it into a positive,” she says. She may be shorter than most kids her age, but she doesn’t mind. “It’s kinda nice, I can go in cupboards,” she joked. Be sure to tune in to 98.1 KDD Feb. 9-11 to hear more inspiring patient stories during the 2017 “Have a Heart, Do Your Part” Radiothon broadcasting live from Akron Children’s. Click here to make a donation or text KDD to 41444 and donate right from your smartphone.